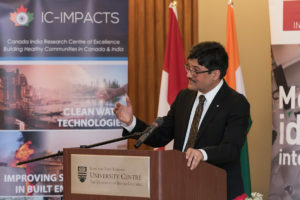 Dr. Nemy Banthia, CEO & Scientific Director, IC-IMPACTS and Dr. Joy Johnson, Vice-President, Research & International, SFU, sign new partner agreement on March 14, 2019. On March 14, 2019, IC-IMPACTS signed an affiliated network agreement with Simon Fraser University (SFU) that marks a new partnership to advance student and faculty collaborations between India and Canada. 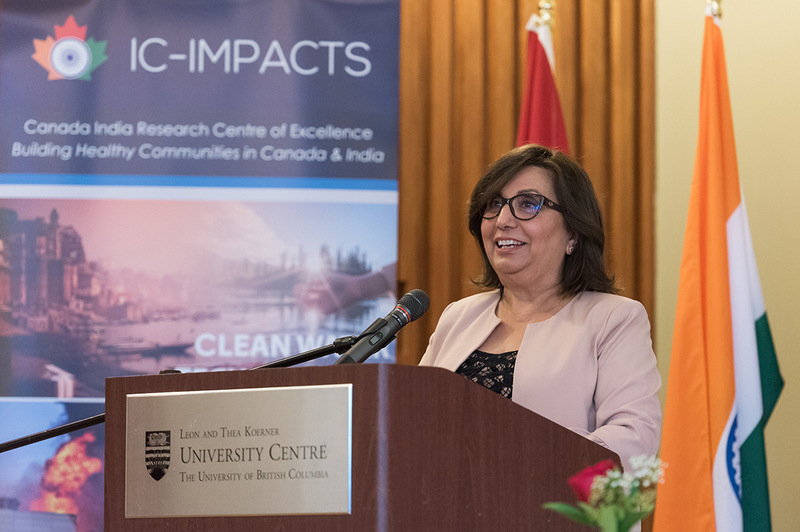 Dr. Nemy Banthia (above left), CEO and Scientific Director, IC-IMPACTS, and Dr. Joy Johnson (above right), Vice-President, Research and International, SFU, signed for each institution. 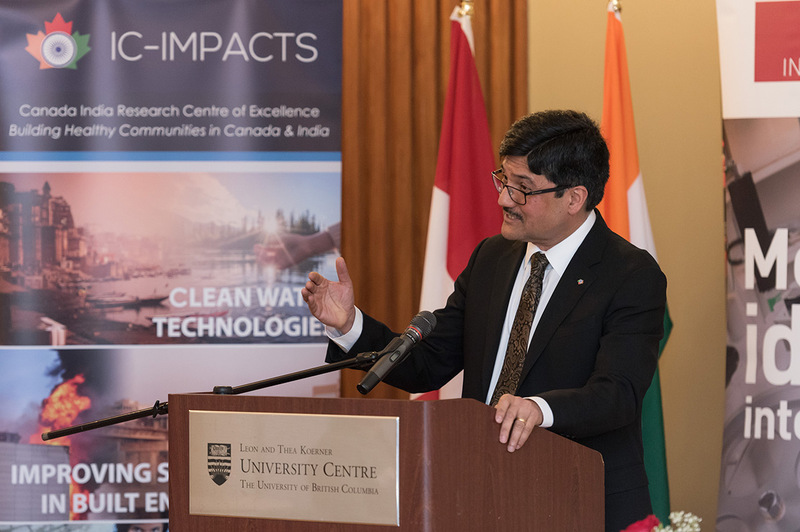 To honour the event, IC-IMPACTS hosted a dinner reception at Sage Bistro on UBC Vancouver campus and an evening of dialogue on strengthening Canada-India partnerships in innovation and trade. 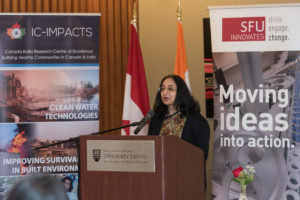 Distinguished guests included Mrs. Abhilasha Joshi, Consul General of India in Vancouver, Hon. 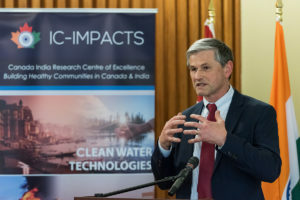 Jinny Sims, Minister of Citizens’ Services in British Columbia and MLA for Surrey-Panorama, and Mr. Andrew Wilkinson, Leader of the Official Opposition and MLA for Vancouver-Quilchena. 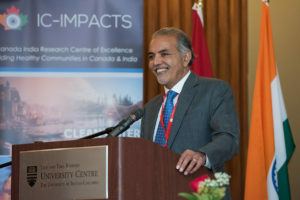 Mr. Barj Dhahan, Board Chair, IC-IMPACTS, welcomed attendees and gave a passionate address about the future of Canada-India trade and the potential to harness the unique bilateral innovation partnerships IC-IMPACTS has built to enhance technology exports to India, a country slated to become the world’s third largest economy by 2030. Dr. Nemy Banthia, welcomed attendees and SFU as a new and important partner in research and innovation, noting Dr. Joy Johnson’s leadership at SFU and ongoing collaborations with India. 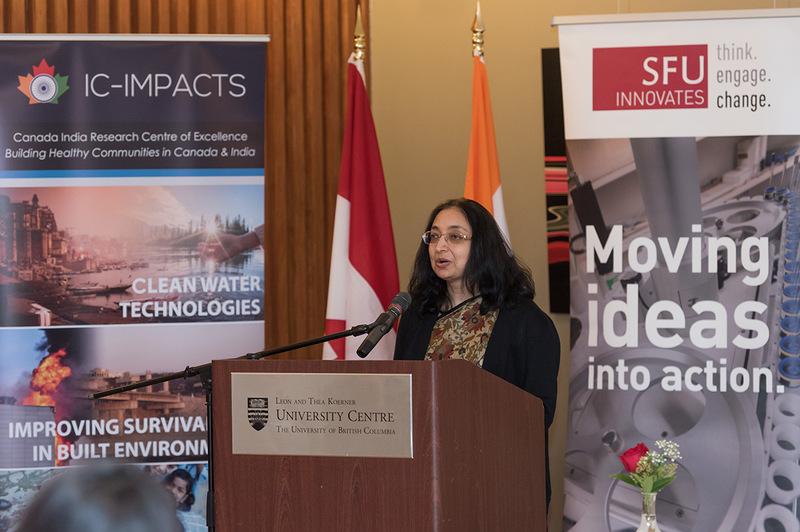 Mrs. Abilasha Joshi, Consul General of India in Vancouver, gave a keynote speech on Canada-India collaboration to promote bilateral trade. 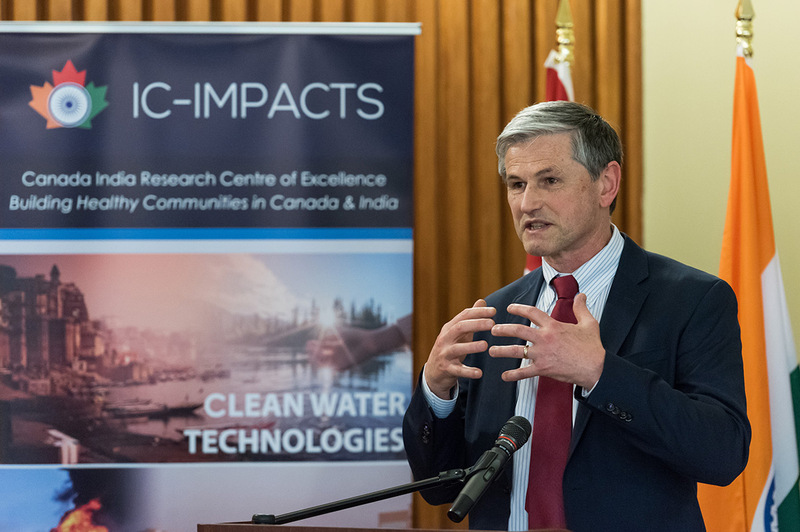 She noted past IC-IMPACTS initiatives such as creating seismic-resistant infrastructure and building roads using green technology as examples of projects that have had an impact on communities in both countries. She pointed out recent joint calls for proposals launched by IC-IMPACTS and Indian partners such as Creating Wealth from Waste and Developing Cyber-Physical Systems to Support Green Buildings in Smart Cities as indicators of IC-IMPACTS’ vision of collaborations between Canada and India. 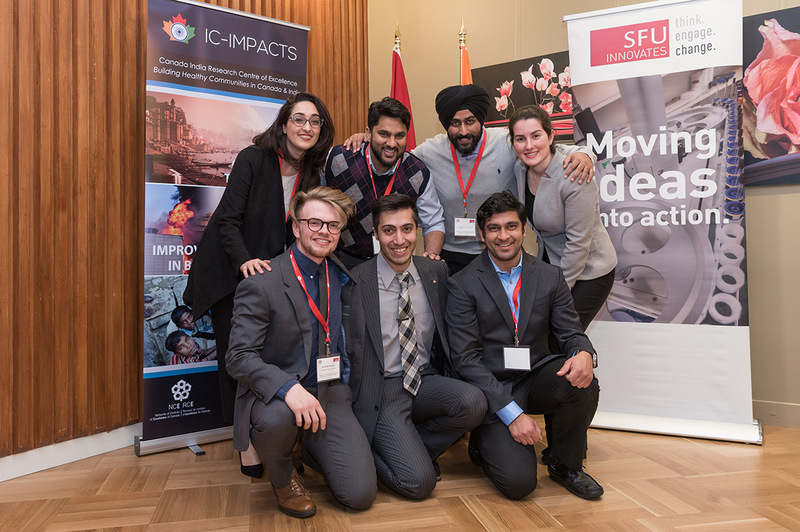 All photos courtesy of Martin Dee.